While regular cell phones are getting more and more powerful these days by including built-in cameras and MP3 playback capabilities, if you want the most powerful handset in the most portable of packages, you have to look to smartphones. For many, it's like having a laptop in the palm of your hand, capable of editing Word, Excel and PowerPoint documents, surfing the web, managing your busy schedule, and much, much more. There's lots of aftermarket software out there that can do just about anything your home computer can do, but the first thing you have to consider is your operating system. Just as there is Windows, Linux, and Mac OS for your home computer, there are several options when it comes to the operating system software for your smartphone (sometimes called PDA phones). These are the four most popular found in the market today, all of which are typically preloaded into your handset of choice. Perhaps the most popular smartphone operating system, Windows Mobile provides for a very familiar environment for users who are accustomed to Windows-based personal computers. There have been several editions of Windows Mobile, starting with PocketPC 2002. Just as Windows 95 became Windows 98, Windows ME, Windows XP, and most recently, Windows Vista, the operating system for smartphones too has undergone several revisions and redesigns. Along the way, we've see Windows Mobile 2003, Windows Mobile 2003 Second Edition (SE), and the current version, Windows Mobile 5.0. Typically, the handset starts up with a "Today" screen, highlighting the appointments of the day, emails received, tasks to be completed, and so on. Most, if not all Windows Mobile-powered smartphones come complete with some version of Office, Money, Media Player, and Outlook. The interface comes complete with the ubiquitous "Start Menu". HTC is known for creating WM-powered smartphones, including the T-Mobile MDA Vario. You'll also find Windows Mobile 5.0 on the Motorola Q, available through Verizon and Telus Mobility. Championed by companies like Panasonic and Sony Ericsson, the Symbian operating system acts in direct competition against the familiarity of Windows Mobile. Symbian is most commonly found on the more powerful Nokia handsets, like their N-series "multimedia computers." They've adapted the operating system to their needs, releasing their own user interface platforms known as Series 60, Series 80, and Series 90. While Windows was initially developed to be used on computers and later adapted for mobile devices, Symbian was designed for use on personal handheld devices from the start, like cell phones. There is a strong emphasis on the conservation of energy, thus working to extend the battery lives of smartphones. Symbian is typically more customizable than Windows Mobile, as well, and there is just as much aftermarket support for software. The current version of Symbian is v9.2, with Symbian OS v9.3 expected to launch very soon. It will take some time for cell phone makers to catch up, but their release is imminent. Linux isn't the most popular operating system for home computers, but many techies prefer it over Windows or other more mainstream offerings. The same is true when it comes to mobile phones. There aren't nearly as many smartphones running on Linux as there are on Windows Mobile or Symbian OS, but that's not to say that we should overlook that adorable penguin altogether. Some phones, like the Motorola A1200 thrive in the Linux environment. Linux is known for being open source and completely free, and as such, allows for lots of homebrew applications. Software for Linux-based smartphones, in this way, is plentiful and often free. 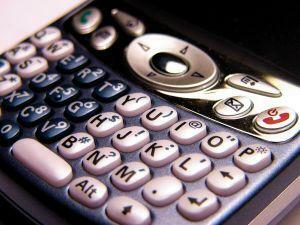 Arguably, it was the people at Palm who paved the way for personal digital assistants (PDAs) and they have since made the jump to including cellular phone technology into their handhelds with the Treo line (with the exception of the PalmOne Treo 700w, which runs on Windows Mobile). Those of you who have grown accustomed to the Palm environment through your use of the a Palm III, Palm V, Palm m500, or other (now ancient) device will find yourself in familiar territory by making the jump to a Palm Treo. There is a heavy emphasis on using the touchscreen capabilities in a non-graphic heavy way. Everything is designed to be simple, streamlined, and efficient. There is a large suite of standard applications that come bundled into a Palm device right out of the box, including a scheduler, calculator, note pad, to do list, address book, and clock. Because the Palm OS has been around for some time now (originally released in 1996, eons in tech years), there is lots of aftermarket support in terms of software, as well as several applications that regular Joe programmers have released onto the internet.